Sporting clays is a fast growing shooting game that tests shotgun skills by simulating the flight of game birds. The courses keep the competitors guessing by the various angles and flight patterns from the clay birds. A well designed sporting clay field will be a challenge to anyone, from beginner to professional, and is a great practice tool in the off-season. Setting up and building a sporting clay field can be challenging but worth the effort when the job is complete. Sketch a rough design for how you want the sporting clay field to look based on the property you have available. Focus on limiting the amount of walking required to get from station to station. Designate a spot for at least 10 stations. If room allows, add more stations as necessary which can add flexibility to the field if you intend on hosting tournaments or competitions. Draw the trail system that connects each station. Make the trail wide enough to accommodate golf carts and other ATVs. Use the tractor and mower attachment to mow the trail system and stations. Adding mulch to the trail is optional and recommended if you experience large amounts of precipitation or plan on having a lot of foot traffic on the trail. Build shooting platforms for each station. These serve as the designated shooting areas for each station and add a safety feature for the other shooters and target thrower. Place the gun racks next to the shooting platforms at each station. Install the clay target throwers according to the drawings. More than one thrower may be necessary at specific stations. Adjust the throwers and stations as needed to mimic the flight patterns of different game. Have targets flying from the sides, overhead and straight at the shooter. Be creative and change the course as you feel necessary. 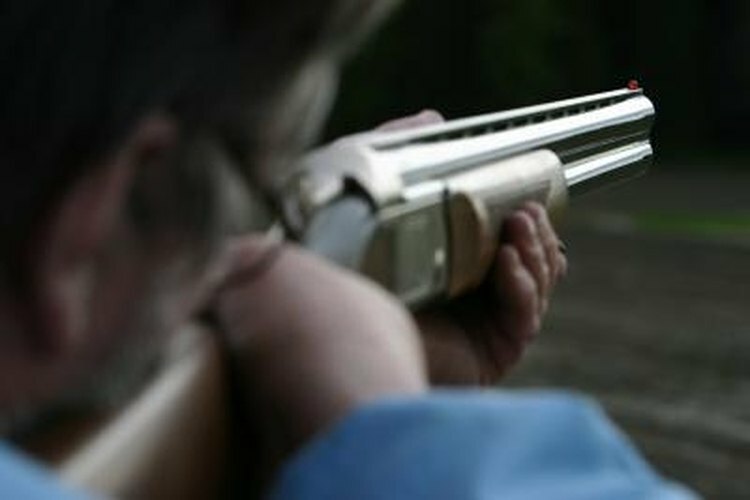 Shoot at several other sporting clay fields to generate ideas for your course. Review local shooting laws and regulations. Obtain the proper amount of insurance. Beware of the neighbors and the direction of the shooters.